It is unbelievable how many slip and fall accidents are there in Miami every day and how people and companies still don't pay enough attention to prevent these accidents on their premises. Some companies are regularly being sued for slip and fall injuries compensation repeatedly. It seems that they don't learn from their own mistakes. But you should learn from the mistakes of other folks who have sustained personal injuries due to slip and fall accidents in Coral Gables. 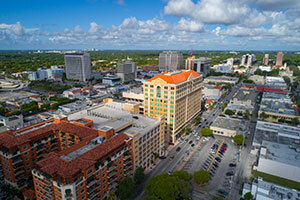 You should find and call the best Coral Gables slip and fall accident and injury lawyer that you can identify. You will need the best advice to figure out how and what you may be entitled to recover. Call our Coral Gable slip and fall injury and accident attorneys for a free consultation. We will spend as much time with you as you need. We will listen to you and review any photographs and documents that you might bring. We have helped slip and fall accident victims injured in Coral Gables for more than four decades and we are here for you. You can contact us at the Gerson & Schwartz Law Firm at (305) 371-6000. We never ask for fees before recovering for our clients. You should know that under the Florida premises liability laws, owners and operators of commercial institutions such as retail stores, hotels, resorts, gas stations, and other stores owe the visitors a duty of care, which means a duty to provide a reasonably safe environment. Keeping the floors clean and free of slippery substances is a step toward respecting this duty. However, sometimes companies and their people are negligent. Slip and falls occur, and personal injuries follow. In many Coral Gables slip and fall accidents people can sustain more than bruises. Broken bones, hip injuries, neck injuries, broken wrists, brain injuries, and spine injuries are among the severe injuries that victims of Coral Gables slip and fall accidents and injuries may suffer. Companies may refuse to admit that the slip and fall happened at all. If there is no way to deny that the slip and fall really happened, then they will argue that the injuries were the victim’s fault or that the injuries were pre-existing. You can expect in any slip and fall defense case that the insurance defense attorney will use all available defenses. All too often, insurance companies vigorously defend slip and fall cases in an overall strategy to wear you, the victim, down so that you will ultimately accept less than you are entitled to. The way our Coral Gables slip and fall accident and injury lawyers combat this strategy is to get the case into court. We use the civil court rules to expedite the case to at least minimize the defendant’s intended delay. We work towards a mediation and trial so that your Coral Gables slip and fall accident case reaches a satisfactory resolution or trial verdict. 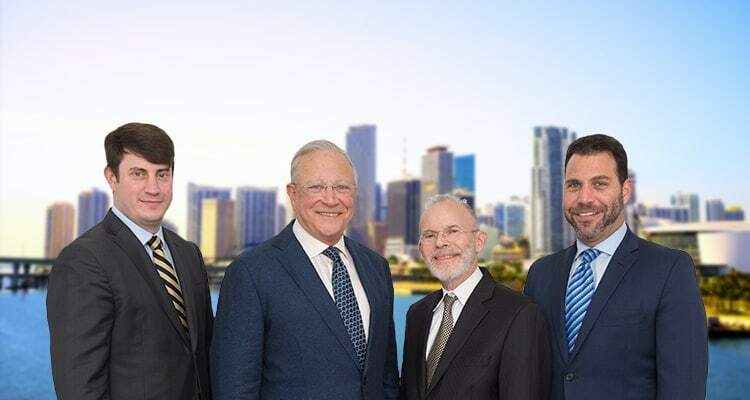 The Coral Gables slip and fall accident and injury lawyers at Gerson & Schwartz represent innocent victims who have slipped and fell in Coral Gables due to someone else’s negligence for the last 40 plus years. Let us help you. We can start with free consultations at (305) 371-6000 or at our office in Miami at 1980 Coral Way. We ask for fees only when we recover compensation for you.